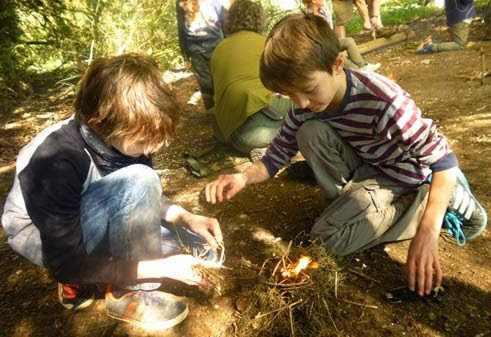 In April I went with my 13 year old son, his mate and his mate’s dad to a bushcraft skills weekend course run by Andrew Callaghan from Fenland Bushcraft. The course took place in a small wood on a private country estate in West Norfolk. Next to the wood is a lake, home to many talkative, ducks, geese and swans. It’s a beautiful place and quite secluded. The communal gathering point for the weekend was under a parachute shelter, which is also where we met for supper and breakfast. The day started with Andrew and his assistant, Geoff, demonstrating how to start fires using firesteels, flints and bow drills. The boys tried all the tools and after a bit of huffing, puffing and experimentation managed to get a fire going. Next up was wood working. The boys first learnt to use knives safely and then how to carve tent pegs and spoons. It was a joy seeing these young teenagers so engrossed in an outdoor activity. While the boys worked on their crafts, I set up a hammock for Harry and a tent for myself. 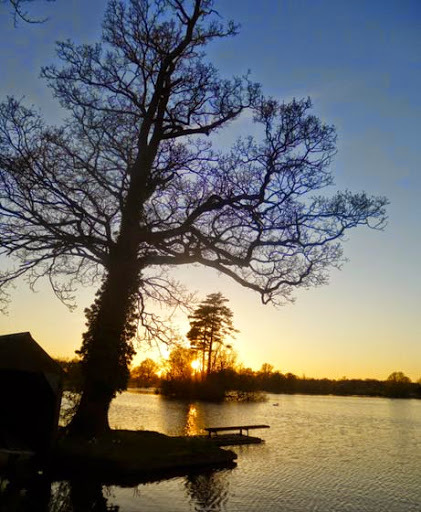 As night drew in we left the wood for a walk around the lake. We watched the sun go down and the night sky go up with a thousand and one stars, no light pollution here! After a hearty cowboy camp meal (expertly cooked by Andrew) we sat around the fire telling ghost stories before heading off to bed. We woke to a bright morning and brewed up some coffee. Under the parachute shelter, Andrew cooked up a mighty breakfast. The smell of the bangers and bacon soon had everyone up and out of sleeping bags and crowding around with plates at the ready. The final activity of the weekend was spent with the boys taking turns to evade and search for each other. 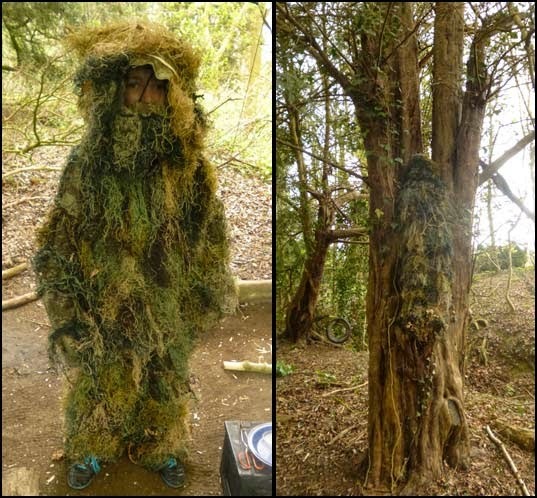 They dressed up in ‘gilly’ suits and and tried to blend in with the surrounding woodland. And all of a sudden it was time to pack up and leave. It was wonderful seeing the boys out and about in the woods with no thought of computers, PlayStations or mobile phones. And us parents also had a great time, a win-win situation all around. If you live up in East Anglia and like the outdoors then I can heartily recommend Fenland Bushcraft. 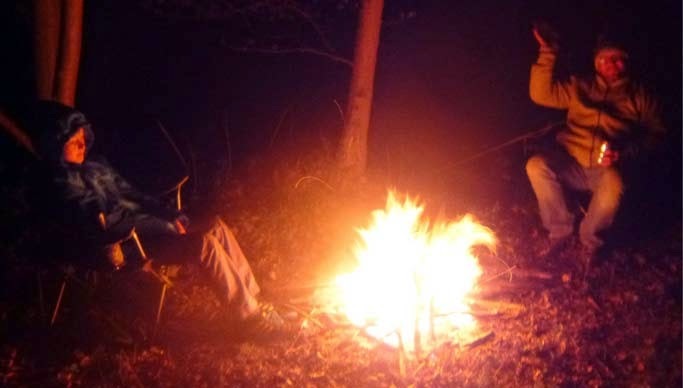 Alongside the kids and parents weekend they run bushcraft and survival skills courses for adults, all at very affordable rates. Check out more on their website: www.fenlandbushcraft.co.uk. Bill Doggett – Band with the Beat! I would just like to point out that the assistants name is Geoff and not Alf but as his wife it did make me laugh. So sorry about that! I’ve fixed the name, please pass on my apologies to Geoff! Very enjoyable Martin, and great that Harry and his friend had a wonderful time. Hi Martin nice blog enjoyable reading on my commute to the big smoke ,my daughter and my self have been to fenland bushcraft twice this year it’s really good , we stopped at the secret garden campsite (we love this site check it out)on the outskirts of Wisbech which is connected to fenland bushcraft,they let them use a wild area on there site for a half day course , kids love it. 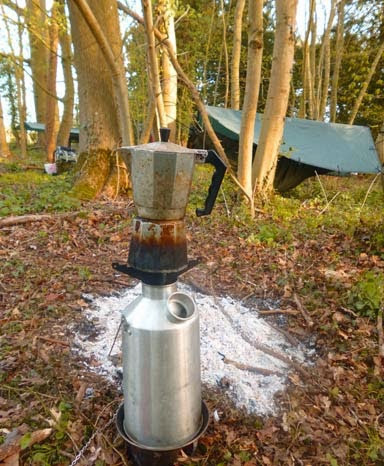 Been reading your micro adventures etc and seems we have similar interests , I’ve done a couple of wild camps this year one coastal around from Hunstanton on longest day and a bush camp. Thinking of doing the one a month challenge 2016 ,would be nice to have some company if your interested in a overnighter , as bought hammock and tarp about just weather turned and desperate to try out.